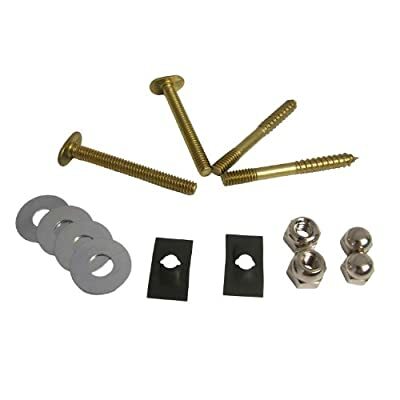 LASCO 04-3651 Brass Toilet Bolt and Screw Set With Nuts and Washers. 1/4-Inch x 2 1/4-Inch brass toilet bolt and screw set with nuts and washers. Secures toilet bowl to floor flange and wood floor. Replace wax ring. Easy installation. Toilet installation part. Easy installation.